At Grupo Bel, we believe that social responsibility and environmental preservation means a commitment with us, as persons, and to society. We defend business practices that translates into a conscious management of values and respect for the environment, aiming that our companies became a national reference. Commit to Ethics as a fundamental value and a cross-cutting commitment at the level of our companies, employees and partners and market action. We guarantee the operational eco-efficiency and the optimization of our distribution routes. We are a living force, especially in the region of Leiria where we are mostly present, promoting, local industrial and technological, development as well as creating sustainable employment in the medium term, providing the best prospects for the future. We maintained in Turquel, without any relocation, the company Futurete, promoting the continuation of the techniques of artisan manufacture of coffee machines and coffee mills. We support humanitarian and environmental causes, having distributed about 30 000 liters of water free of charge during the Pedrogão Grande and Leiria fires in 2017. Supporting social, human and environmental causes allow the creation of a fairer future, more developed and better living conditions for future generations. The Grupo Bel is therefore an active member of entities in the area of corporate responsibility. 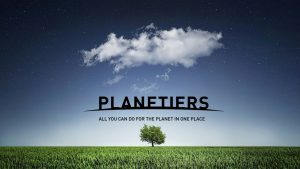 Planetiers is a team of young people who have created a sustainable online market, combining in one single platform consumers, sellers, suppliers and products. It aims to be a meeting point for all those who want to make their routines more eco-friendly. Their mission ir to “daily promote more conscious and responsibile lifestyles, waking up the “sleeping ones” and showing to all that this simple sustaineble changes are more easy than it seems to be“. The Grupo Bel are developing, in Belmonte, in partnership with Planetiers, a project to build houses and communities that are fully in harmony with principles of environmental sustainability. This project have has mission to be a reference in the way we live today, guaranteeing the comfort and quality of life of the residents, but without compromising the quality of life of future generations. The implementation of front-line technologies and systems for sustainability is anticipated, whether in water consumption, energy production and consumption, local and non-toxic building materials or even design-based decoration and recycled materials.